I tend to like a bit of humor or quirkiness in my decor, which probably stems from my belief in not taking anything too seriously. I want to surround myself with things that make me smile, you know? So when I spotted this DIY animal mask art, which struck me as weird (in a good way) and immediately made me laugh, I knew I had to share it! It's a sad day when a bed is without a headboard. Depending on the size of the room, the headboard can take up quite a bit of space making the room seem small and cluttered. Jessica of Mad In Crafts created a headboard that takes up hardly any space and she did it using old vertical blinds! Your jaw is going to drop when you see the end result. 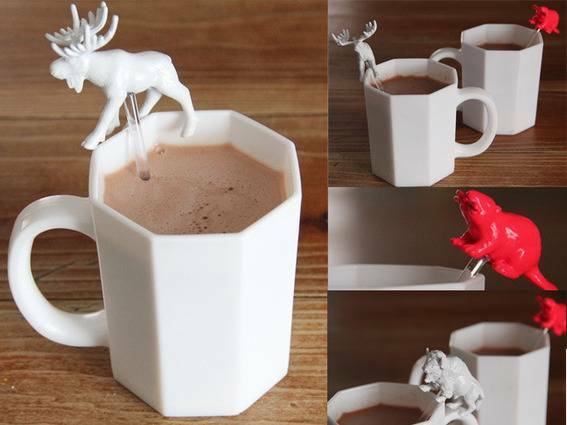 Still on a plastic animal kick (look here and here), so these animal stir-sticks certainly caught my eye. Cute for kids and adults alike, all you need beside the plastic animals is some plastic stir-sticks, drill & bit, primer, paint and "industrial" glue like E6000. To see how they're made head on over to Momtastic. I've always felt that bookends instantly fancify a book display. It can be tough to find the right ones that compliment your book bindings, but don't outshine them. These bookends were made using a small accessory that you can find in your child's toy bin or at the local toy store! Art doesn't need to be flat to hang it on your wall -- heck, it doesn't even need to be hung on a wall at all! 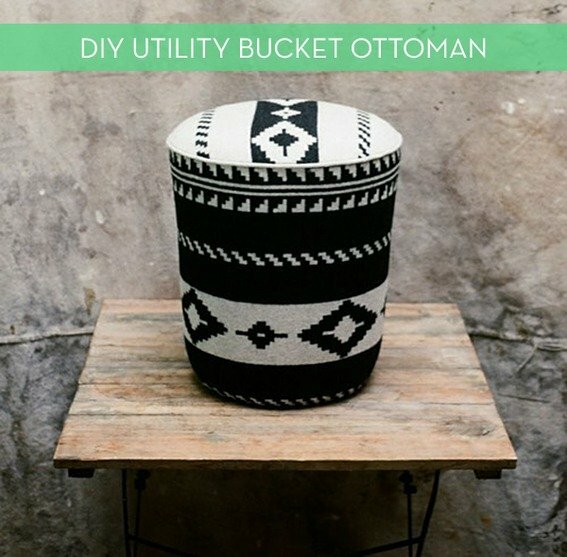 Here are 12 creative DIY projects that will add some dimension and visual interest to your space in no time flat. As my toddler son is beginning to enjoy our daily crafting session, or making art, as he refers to it, I'm always on the look out for cheap and cheerful projects for us to make together. What could be more cheerful and delicious as this snow cone garland? Exactly! For more details, visit The Haps. I have no idea what else to call this other than a "pouf", but I think we can all agree that it's awesome. 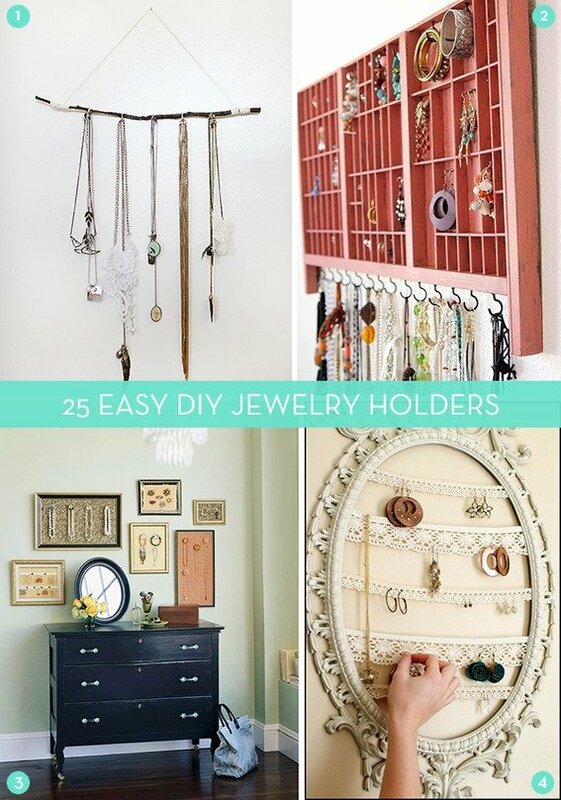 If you're looking for some wall decor with serious a "wow" factor, this DIY idea is for you! Raise your hand if your home office or workspace could use some help in the storage and organization departments! That's everyone, right? 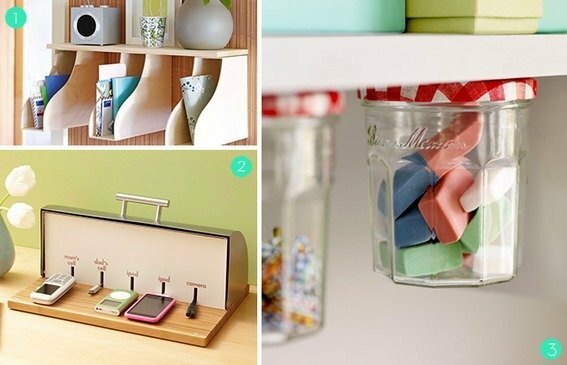 Check out these 15 clever DIY ideas that are sure to make your space more functional -- and boost your productivity! 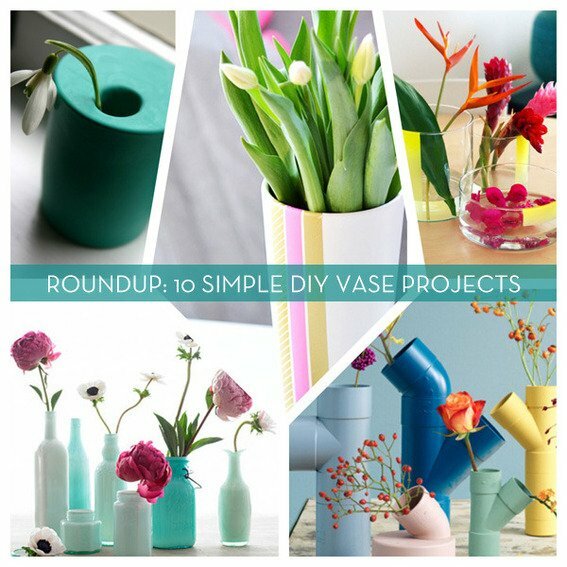 As 2012 rolls to a close, we're paying tribute to a year full of awesome DIY ideas with roundups of our most-loved projects and posts! 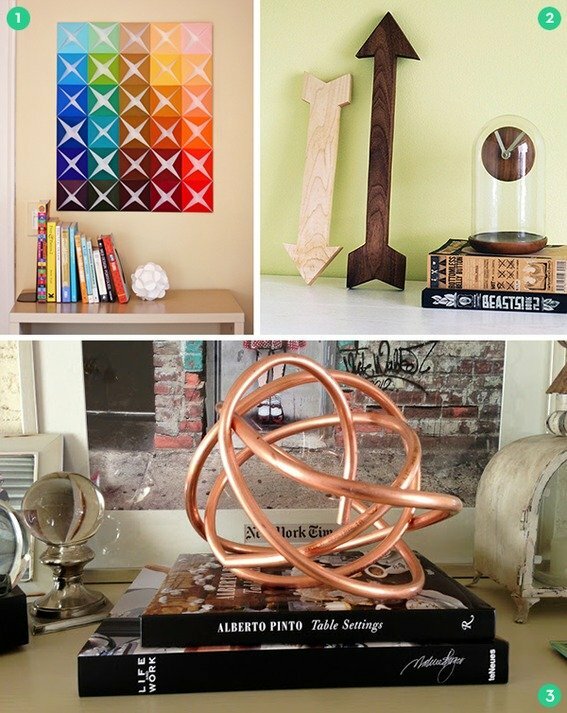 First up, our ten favorite art and art-inspired decor projects. Enjoy! Add a bit of magic to your decor this winter with a scenic, floating terrarium! Christmas is right around the corner which, depending on your degree of seasonal decorating, means it's time to put up a holiday wreath! 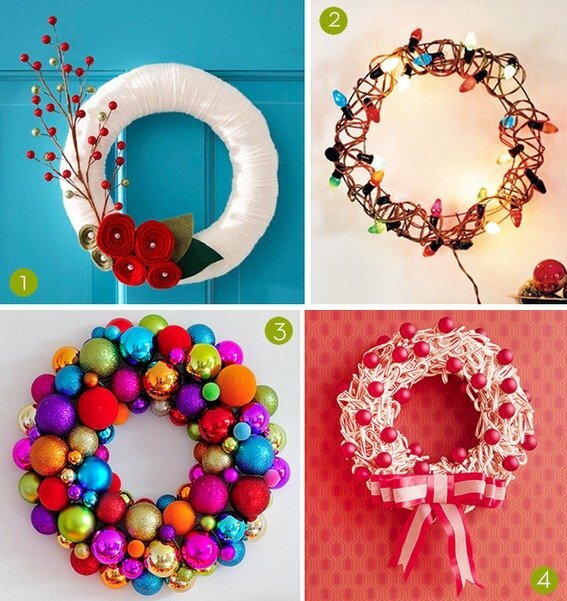 Ring in the season and add some cheer to your entryway with one of these creative (and oh-so-festive) DIY wreaths!